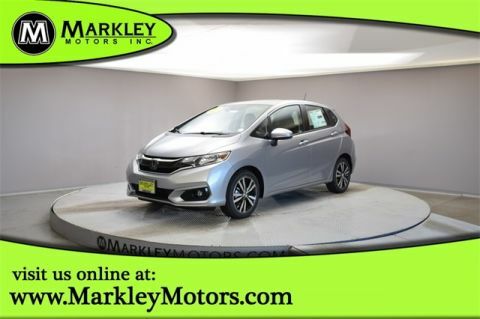 Be prepared to take on your next adventure with our 2019 Honda Fit Sport hatchback shown in White Orchid Pearl! Powered by an impressive 1.5 Liter 4 Cylinder that offers 130hp while paired with a responsible CVT. 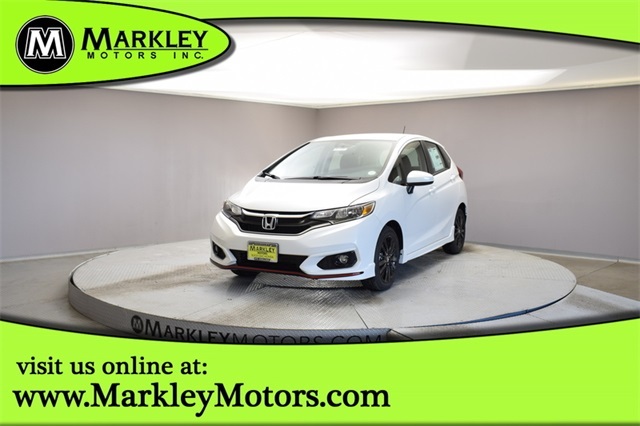 This spunky Front Wheel Drive hatchback offers gloss black alloy wheels, fog lights, chrome exhaust finisher, and front and side underbody spoilers and rear diffuser with orange pinstriping. Once inside the unique Fit cabin, you will be impressed with the 60/40 split Magic Seat that folds flat into the floor for maximum cargo space. Connect with your friends, family, and coworkers safely via Bluetooth. Turn up the tunes on your amazing 6 speaker audio system with 7-inch color LCD screen by using the illuminated steering wheel-mounted controls. Apple Car Play and Android Auto accommodate your phone choice. Load up the Fit with your crew or lower the rear seat and take a quieter ride when loading up the cargo area. 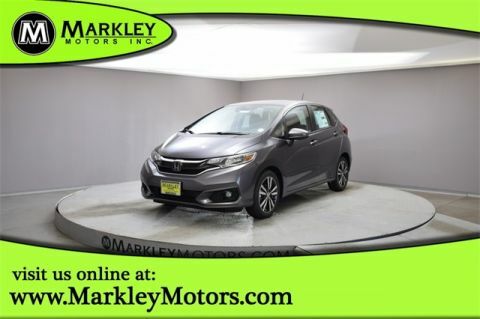 Safety is a priority at Honda with advanced features such as a multi-angle rearview camera, hill start assist, and 6 airbags, so you have that peace of mind as you sit back and appreciate the ride! Print this page and call us Now... We Know You Will Enjoy Your Test Drive Towards Ownership! We Value You As A Customer And Look Forward To Showing You What The MARKLEY DIFFERENCE Is All About. We've Been In Business For 82 Years For A Reason! Call Us Now At MARKLEY MOTORS At 1-970-226-2213.